Are you ready for Vargas Island? It is time to prepare for our big adventure! We will spend the weekend on the uninhabited Vargas Island. I am sure we will have a lot of fun with 11 great people at this amazing place. Here is some important information for you. We will meet on Friday at 10.15am at Horseshoe Bay. Keep in mind that this ferry terminal is located in North Vancouver, so you need to plan in some time to get there. From there, we will take the ferry to Vancouver Island. After we arrive in Nanaimo, we will pick up our car and drive to the other side of the island. In Tofino, you have some time to get a snack, grab a coffee and say bye to proper toilets. A water taxi will get us to Vargas Island where we will build up our tents at the beach. A barbecue and campfire are on the program for the night, before we crawl in our sleeping bags. Let’s hope that the sun will wake us up on Saturday morning, so we can enjoy our breakfast outside. Mission of the day: exploring the island and surviving. So, we can go for a hike and a swim, meet some wildlife on land and underwater, play fun games and just enjoy the beautiful nature. At night, we will warm up at the campfire and prepare ourselves some real Canadian s‘mores. Sunday morning, we will already leave Vargas Island again. But before heading back to Vancouver, we will spend some time in Tofino. Known as the paradise for any water sport, we will try our luck on a board during a surfing lesson. In the afternoon, we are heading back to Nanaimo and from there we will go to Vancouver. We will be back around 10pm. I can’t wait to spend the nights at the campfire with you! See you tomorrow at our PuB NiGHT or Friday at Horseshoe Bay. 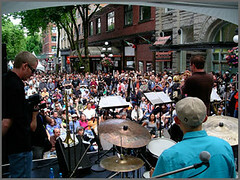 It’s already time for the weekend and there are many things to do in Vancouver. This weekend there are some really nice festivals. So, what does Vancouver offer this weekend? Of course there are still soccer world cup matches on this weekend. In most of the pubs you can see the matches on big screens. So there are many places in Vancouver where you can cheer for your team or just see some exciting matches with friends. Please note, that you have to pay an entrance fee while the world cup matches at some pubs. Don’t forget! We will meet us on Saturday at 11 am at The Pint to watch the soccer match Ghana against Germany. We will also have some brunch and drinks. We hope to see you there! We wish you all a nice and enjoyable weekend and and hope to see you on Saturday at The Pint! INTERNeX Canada: News/Fun facts – My top 3 in Vancouver! So my last weekend in Canada has finally arrived.. 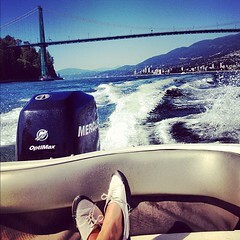 Therefore I want to write and share my top 3 things to do in Vancouver!! #1 – Rent/Ride a bike! The best thing to do is make a tour in and around Stanley Park. You can take the easy seawall to make a round (12km). If you have more time bike the Lion’s Gate Bridge as well! This spot is one of my favorites! The island is easy-going with lot’s of special food and other things to buy. They have an enormous market with more local products then you can imagine! 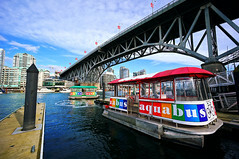 The best way to get there is with the False Creek Ferries! These small boats are sailing all over False Creek. The oneway fee is between $3-5 dollar.. But for this price you get a great view of the harbor, boats and the Yaletown skyline! #3 – Visit Gastown and all his pubs! A awesome place for me during my stay in Canada! Because the office is in the middle of Gastown, it was not that hard for me to discover this place.. I was really surprised by the Irish and British culture influence in this area. Most of the pubs and bars are built in this style. Maybe that’s the reason that I like this place so much! 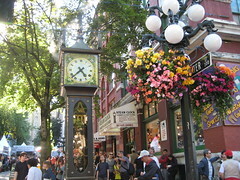 The places I like and recommend in Gastown are: LampLighter Public House, The Black Frog, The Blarney Stone & The Steamclock. So that’s it. Hope you like my small list. Enjoy the rest of your Sunday! Last week we learnt a little bit about the history of Granville Island, but let’s be a little more practical and explore what you can actually do there if you visit today. Granville Island Brewery Tour – We got this first “to do” planned for you. Join us this Saturday February 2nd to tour British Columbia’s first “cottage” brewery and learn how the famous Canadian beer that you drink at every pub night is made. How can you say no to beer? Public Market – Everything happens here. 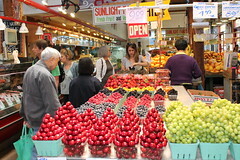 You will find the freshest fruits, breads, meat and seafood from our local farmers. A wide assortment of crafts to bring home as gifts. Or street performers who are always here to entertain you. Eat, eat and eat! – Granville Island is famous for its food; you can find everything from waterfront cafes, gourmet restaurants or a small snack from the market. I love every kind of seafood out there and this is definitely one of the best places for that. Ride a boat – My friends and I did this back in September and when you split the costs, it’s not so expensive. 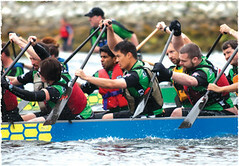 It’s the perfect way to see the beauty of False Creek and North Vancouver. You can also go kayaking or paddle boarding. Events & Festivals – There is always something going on, make sure you keep yourself updated with their events schedule. Chinese New Year is coming up and you don’t want to miss the annual Lions Dance! Arts and Crafts – It’s a haven for you art lovers. You will find local handmade jewelry, photography, pottery, stained glass, soaps, decorations and much more. Join us for our next wake boarding trip in September, keep an eye out for the Facebook event! For me was a non-stop weekend, but also a non-stop fun! Yesterday we had a great day of wakeboarding in Cultus Lake! It was pretty funny to see all our faces in the morning, because as you can imagine everybody was partying Saturday Night! 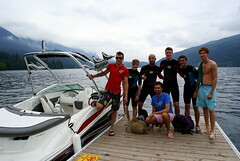 When we arrived to the incredible Cultus Lake, we divided our group in two groups of 6 people! The first group (5 boys and me, not bad for me!!) was the first in doing wakeboarding while the second stay chilling a little bit in the riverside! The views on the boat were awesome, and the best of were driving so fast across the river with loud music! Incredible fun! In the beginning we were still tired because of the hangover but of course there is no better way to get up that practicing water sports! Each person has like a 5 different opportunities to get up and make the real wakeboarding but the most of the people fell down in a couple of seconds! But during that seconds everybody were feeling like the king and queen of the world! It was so funny to see the faces during that moment and the pre and post fallen! After the first shift our group enjoyed the barbeque!!! After all the efforts the burgers tasted even more delicious! We worth it! And in the meanwhile the other group were having their special wakeboarding moment! After that, we had another shift! And I don´t know why but all my team was touched like with super powers because they all did really good! Even with just one hand! Professional team! The weather yesterday as you could notice wasn´t as good as we wanted! But this is Vancouver and this is PR team´s curse! Every time we organize some activity outside the weather changes! But it didn´t stop us! To sum up it was so much fun! But the feeling is like you want to repeat and repeat again! It´s addictive! 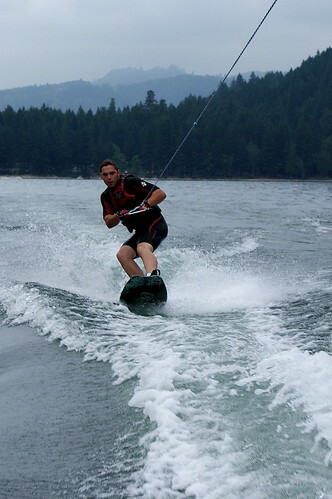 No matter if you are hangover or if it is freezing if you can do wakeboarding! 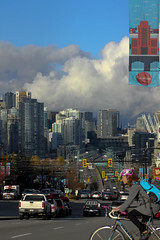 Thanks to all of you guys and Easytrip Vancouver for the great and crazy Sunday we had!